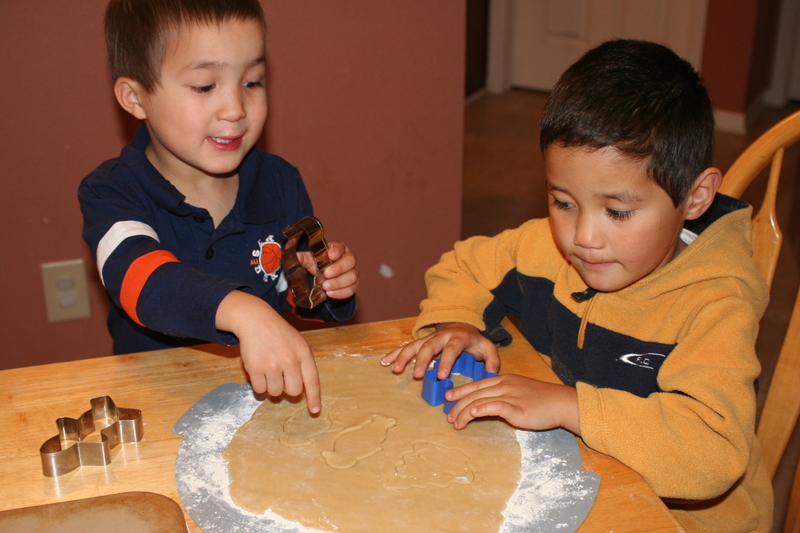 What can be more fun for kids than helping mom (or dad) make Christmas cookies?! Both of us have fond memories of making cut-out sugar cookies with our mothers and siblings when we were children. We thought we'd each share our favorite recipe. In a large bowl, sift flour, baking powder and salt together with a whisk. In a separate bowl, cream butter and sugar. Add eggs, vanilla, and milk to butter mixture and beat until well-combined. Stir in the flour mixture. Chill dough. Roll out on floured surface and cut with cookie cutters. Bake at 350 for 10-12 minutes. Makes 5-6 dozen. 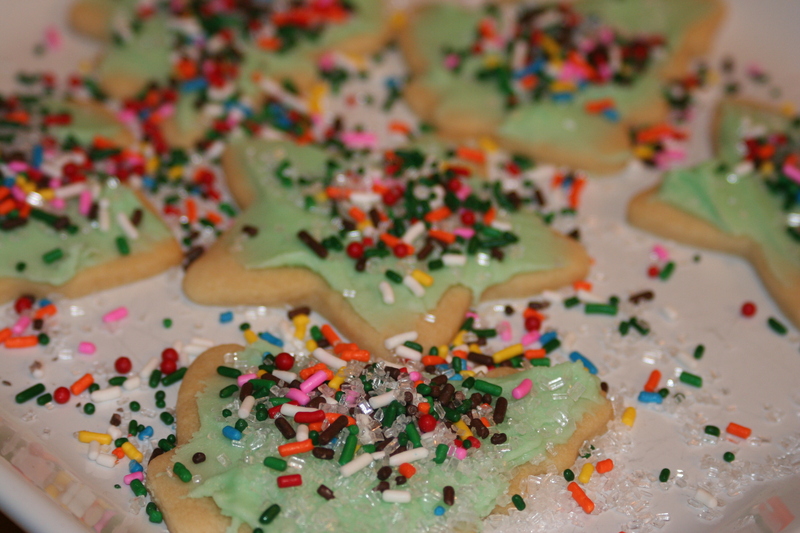 Depending on the age level of my children, or my energy level, we either sprinkle our cut-out cookies with sprinkles before we bake them or bake them plain and ice them with colored glaze (confectioner's sugar, milk and food coloring) over which we then sprinkle colored sugar. If I'm very ambitious we actually use icing in icing bags with proper tips. The boys cut out the cookies with a little guidance and then we frost them and they decorate them however they like. For them (at age 4), the more sprinkles the better! The absolutely love making cookies with me! Yum! Can't wait to make some this year. 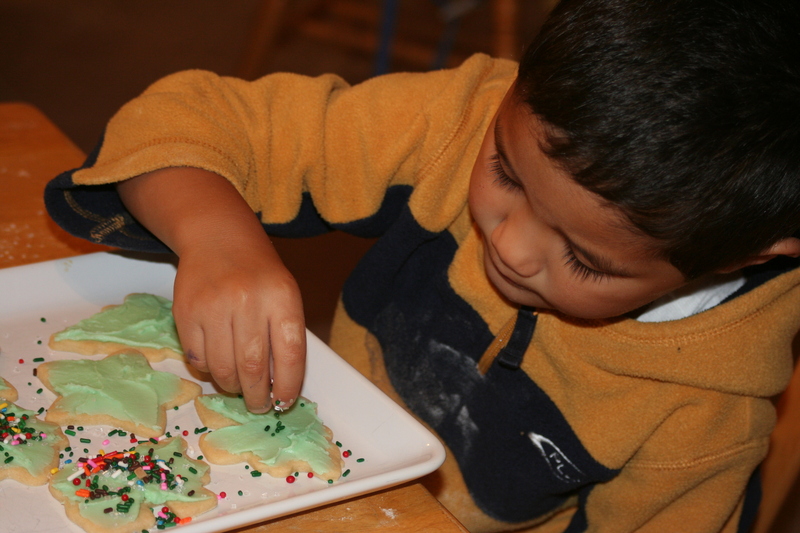 We like to put almond extract in our sugar cookies for a fun and delicious twist. LOve this one!!!!! this is the best of life!!!!! OH MY WORD! I have tried so many sugar cookies recipes and each one was an epic fail. 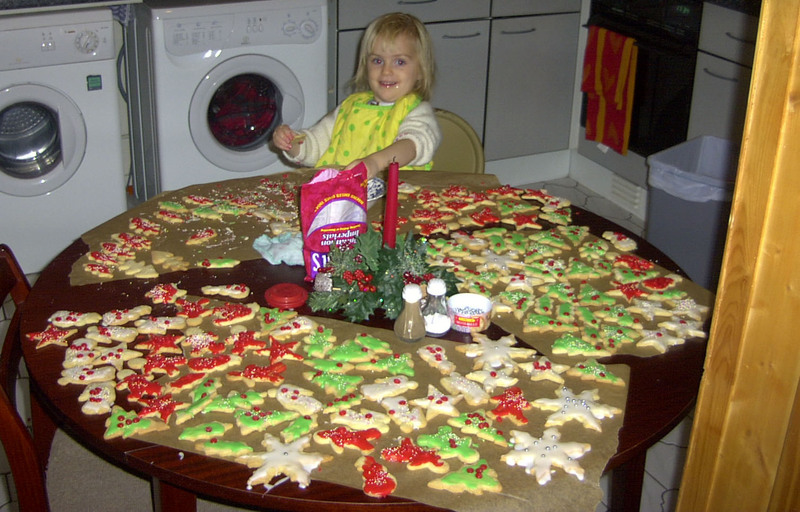 But I so wanted to make cookies with Madeline this Christmas so I tried this recipe and it worked! I'm so excited and this is definitely going in my recipe box. I'm having a little bit of trouble viewing your site in Opera, but it may just be my computer. Apart from that, I love your site. I plan on surfing around and reading some more posts!